The Tour of New York is the grand tour of our brand new world where the present meets the future. It’s New York as you know it but with a healthy dose of creative magic. Whatever you think you know about riding in Central Park, you can forget it, because the experience you're going to get in the Tour of New York can't be rivaled. We’ll pass by a lot of familiar NY landmarks such as the beautiful Bethesda Terrace and the romantic Loeb Boathouse, made popular from the many movies shot throughout the park. We’ll also take to the Highline roads and ride above Central Park, providing an entirely new perspective. That does mean you can expect some climbing in NY. These climbs make use of our “subways in the sky” and will test you, but they are very rewarding. From up high, you’ll get a better view of the flying cars, city skyline, and all the fun futuristic elements that have been added at every turn. 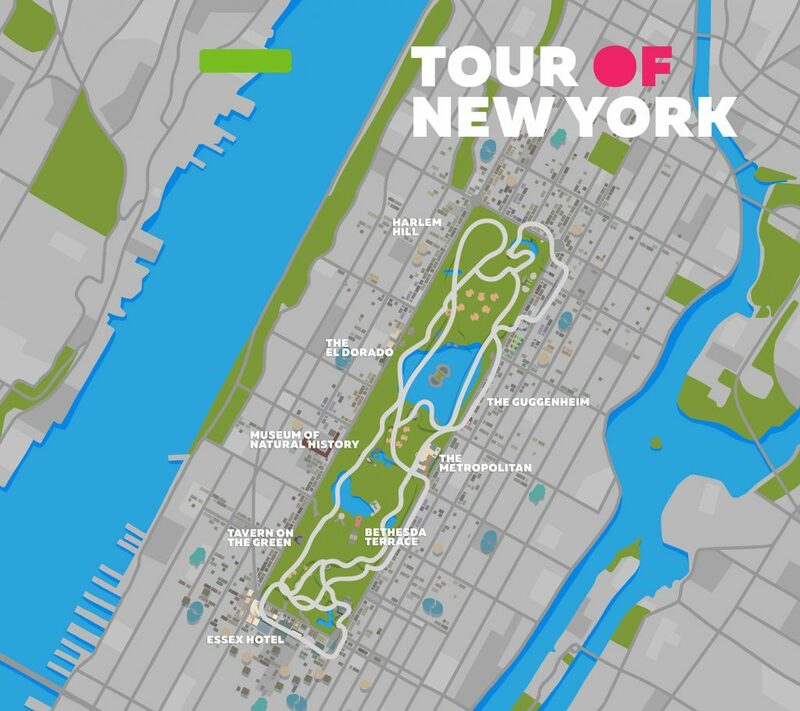 Let’s roll out and explore our version of New York with thousands of other Zwifters as we take a closer look at what makes this world tick in the Tour of New York.